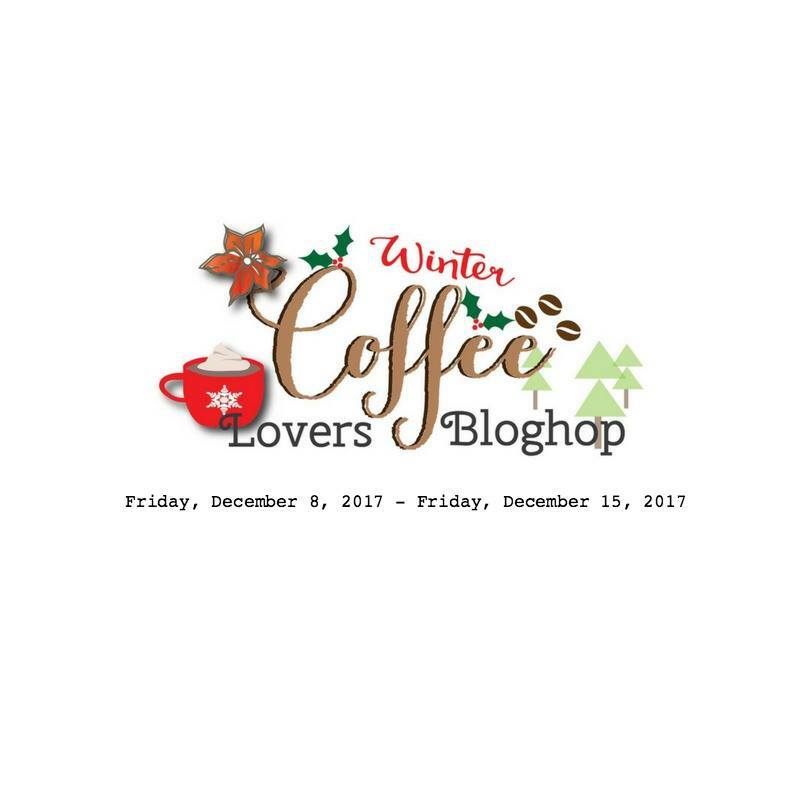 I have a my 2nd card for 2017 Winter Coffee Lovers Blog Hop to share with you. 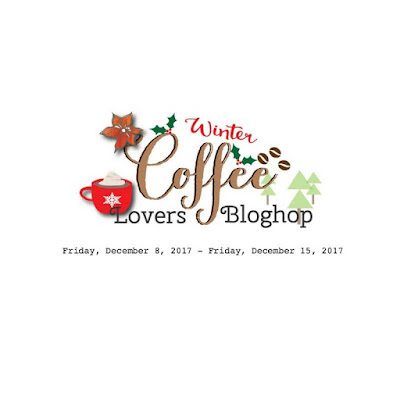 Today, I featured products from Pretty Pink Posh, one of our super sponsors. Let's get started! 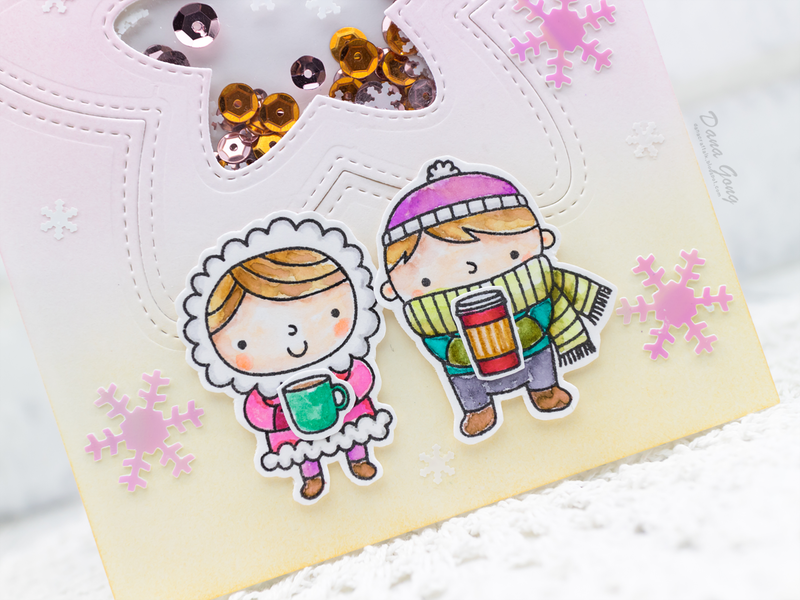 To begin, I stamped adorable couple and coffee cups from Pretty Pink Posh Christmas Friends stamp set and colored them with Zig clean color real brush markers. I fussy cut them out using scissors. Next, I ink blended background panel using distress inks. I then made a big star shaker frame using PPP Stitched Stars Dies. Before finished the shaker, I gold heat embossed sentiment from same stamp set as shown in the picture. Then, I glued acetate for shaker window and gave a dimension with foam tape for sequins. Sequins called Rose Gold Fusion are from Studio Katia, our another super sponsor and I mixed some bronze sequins from my stash with them. I mounted shaker panel on A2 sized card base and foam mounted the sweet couple where I wanted them. To finish off this card, I embellished two different size of snowflakes here and there using glue. Hope you hopping along with us:) Thank you so much for stopping by! Stinkin' cute! Love the cute couple with shaker cuteness! What a cute little couple! And, I love the shaker design too! cute shaker card. love the little snowflakes that you have with the other sequins in the shaker. cute shaker card and love the darling images and colors. love your card. This is soooo beautiful and sweet! Love that shaker window and love those little cuties! Awesome! Dana, this is such a sweet shaker card! Love that set by PPP, it's so cute! The Studio Katia sequins are beautiful too! Oh Dana, this is so cute! Love those little kiddos and the sweet coloring. So soft and pretty! This is so beautiful and sweet! Love this adorable card. The soft colorful background is beautiful. Such a sweet card in lovely colors and I love that shaker star.